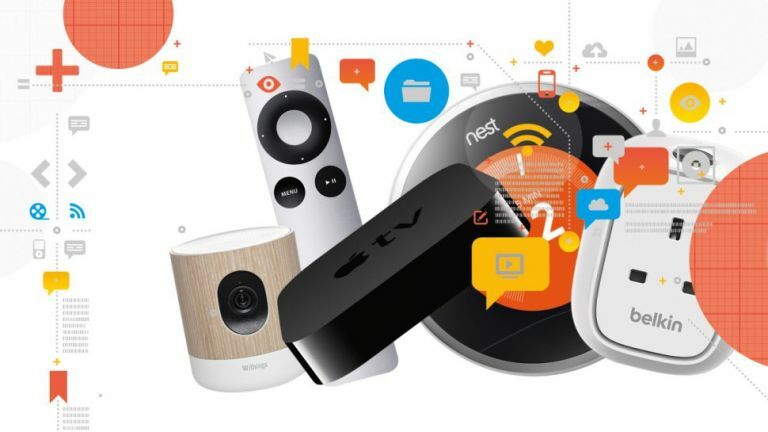 It's easy to dismiss "the Internet of Things" as a meaningless buzz-phrase, but the next generation of always-on, connected home devices are going to make everyday life different in more ways than one - here we're going to highlight some of the changes you can expect. Of course it's going to be a gradual process, and some people are going to embrace the IoT lifestyle quicker than others, but eventually even the most sluggish tech adopters are going to notice the benefits of this new wave of hardware devices and software systems. One of the main advantages of having everything in your home hooked up to the web is being able to operate your appliances from anywhere - whether you want to turn the lights on while you're away from home to scare off the burglars or you need to check what's in the fridge before you set off on your journey home from work, the Internet of Things has you covered. Clever devices like Dropcam and Canary are changing the way that people keep an eye on their homes: these smart, simple to use security cameras can alert you when unexpected motion is detected and let you tap into a live feed of your living room any time you like. Even when you're not at home, you can keep an eye on the pets, the kids or the back door that has a dodgy lock. Consider how inconvenient it is to have to lend someone else your house keys or even leave a key under a flower pot outside your door. Get hold of one of the next generation of smart locks and everything becomes much simpler - you can let in the plumber even while you're sat at your office desk and grant friends and family access to your home (via their smartphone) as and when required. Having (almost) everything in your home talking to your broadband router means updates and software patches can be rolled out from headquarters in minutes. Updating your smartphone's operating system on a regular basis improves security, adds extra features and squashes bugs, and in the near future you're going to be able to do the same for your microwave and your hall clock (and most updates will be automatic too). An abundance of smart kit around the house means devices that are more personalised to you and your tastes - consider a lightbulb that can switch between dozens of colours depending on your mood, for example, or a touchscreen fridge display that brings up menus customised to your previous eating habits and the food you've got in stock. Even if we're all buying the same gear we'll be able to tweak it in many different ways. We're already talking to our smartphones, and we'll soon be doing the same for all of the Internet-enabled gizmos inside our homes: you'll be able to tell the microwave what you're cooking rather than fiddle around with the dials and buttons on the front, and shout out the movie you want to see at your smart television set instead of having to wade through a complicated on-screen guide with a remote control. Innovations such as the Amazon Dash button may seem like gimmicks at first, but they have the potential to fundamentally change the way we go about our shopping. You may think that having your groceries delivered to your door is novel, but in years to come you won't even have to fill out a shopping list - your smart cupboards and smart fridge will know what you need before you do. A lot of the Internet of Things gadgets coming over the horizon are designed to free up time in your schedule: whether it's a smart, Wi-Fi enabled kettle that can have a brew ready the moment you get up in the morning or bathroom mirror display that tells you how much traffic there is on the way to work, you should find yourself with extra minutes in the day to use as you see fit. Smart meters, smart thermostats and other types of intelligent heating system are going to be able to keep your household bills lower by monitoring your energy use and making sure you're only using the gas and electricity you really need - imagine a heating system that switches off automatically when it spots you leaving the house, for example, or that can be scheduled to turn on in 10 minute bursts. This may or may not be an improvement depending on how comfortable you are with the major tech companies tracking your every move, but the Internet of Things means household gadgets are going to become much better at understanding our preferences and lifestyle patterns: they'll eventually learn the optimal heating, lighting and security schedules for our homes on their own, making changes without any need for manual input. Liked this? Why not check out Best smartwatch: which intelligent timepiece should be on your wrist?